The Dodgers have told outfielder Yasiel Puig the organization is ”very disappointed” with his behavior in the wake of his second arrest this year for reckless driving. The team issued a statement Sunday that said Puig’s behavior ”is a very serious issue to us.” The Dodgers said they would continue to educate the 23-year-old Cuban defector and strive to further develop his growth off the field. 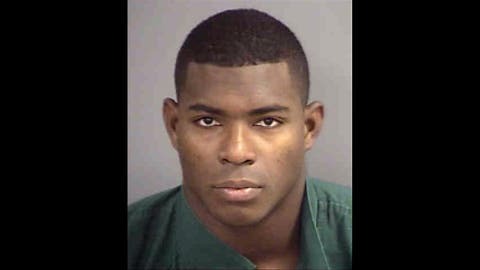 Puig was arrested Saturday in Naples, Fla., after the Florida Highway Patrol clocked him going 110 mph in a 70-mph zone. Authorities said Puig was arrested and charged with reckless driving and taken to the Collier County Jail for processing. Puig lives in the Miami area during the offseason. In April, when he was still in the minors, Puig was charged with reckless driving and speeding after Chattanooga, Tenn., police clocked him going 97 mph in a 50-mph zone. The charges were dismissed in November after Puig completed community service in Los Angeles. Puig was an instant sensation with the Dodgers last season, batting .319 with 19 home runs and 42 RBIs. He helped them reach the NL Championship Series, where they lost to St. Louis, and he was runner-up for the Rookie of the Year award.